I went to Linda about year ago because of stress and pain. I was skeptical at first but after each session I kept feeling better and better. The stress seemed to be relieved and blood pressure was going down. In addition my shoulder pain was going away. I believe Linda is excellent at the art of acupuncture. She is professional and knowledgeable. I have recommended acupuncture by True Vitality to several people. I also believe this is great medicine for the mind and the body. Thank you Linda for getting me back to my passion of water skiing and feeling better and enjoying life. I began acupuncture for the very first time while I was knee-deep in the most difficult time of my adult life. Linda took the time to listen to the multitude of challenges that had risen in my path and, with focus and diligence, began helping me rebuild my very broken down resilience. My ability to make decisions and think without panic returned almost immediately. My mind and body shifted to a much calmer state, in spite of the external madness that continued to swirl and escalate around me. In addition to the wonderful effects of the acupuncture, I found so much comfort and validation in Linda's empathy, joy, and encouragement. She took the time to explain the work as we went and I return to those moments to gather strength on tough days. I whole-heartedly recommend her practice to anyone who is interested in exploring or continuing acupuncture. By the time we were done, life was still as messy as before, but I was once again full of grit and laughter. I have enjoyed working with Linda. She has helped me tremendously. When I first started I was in a lot of pain with my sciatica and she was able to tone it down considerably. I would recommend her to my family and friends anytime. I was looking for an acupuncturist that would help with my Rheumatoid Arthritis, as well as my entire being. 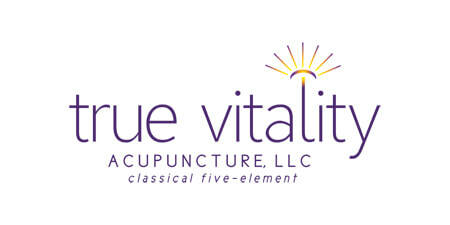 I went online and found Linda Glassey, "True Vitality" web page and “5 Element” acupuncture. On my first visit I knew that “5 Element” acupuncture and Linda Glassey were what I wanted plus so much more. Linda took the time to know a bit (a lot) about me and took what we discussed to set a treatment plan that would work best for me. Every visit Linda and I discuss how things have been since my last visit and she adjusts my treatment accordingly. Linda is so down to earth and easy to work with. She listens to how you are feeling and she is very attentive to that. She goes out of her way to find additional information for you to give you other variations of therapy. When I have acupuncture it is like going to visit a close friend and knowing I am going to walk out with body and mind in harmony. My husband even notices how much Linda’s treatments help me by how relaxed I am, how my shoulders are not tense (lopsided), and most important how long it lasts. Unlike the other acupuncture I have had in the past. He has also noticed how much energy I have now. I can’t put into words just how much Linda has helped me stay mobile and grounded. I would never consider another person or style of acupuncture again. I do refer people to Linda because she works miracles with each visit. Thank you Linda for getting my body and soul in harmony!!!!!! !